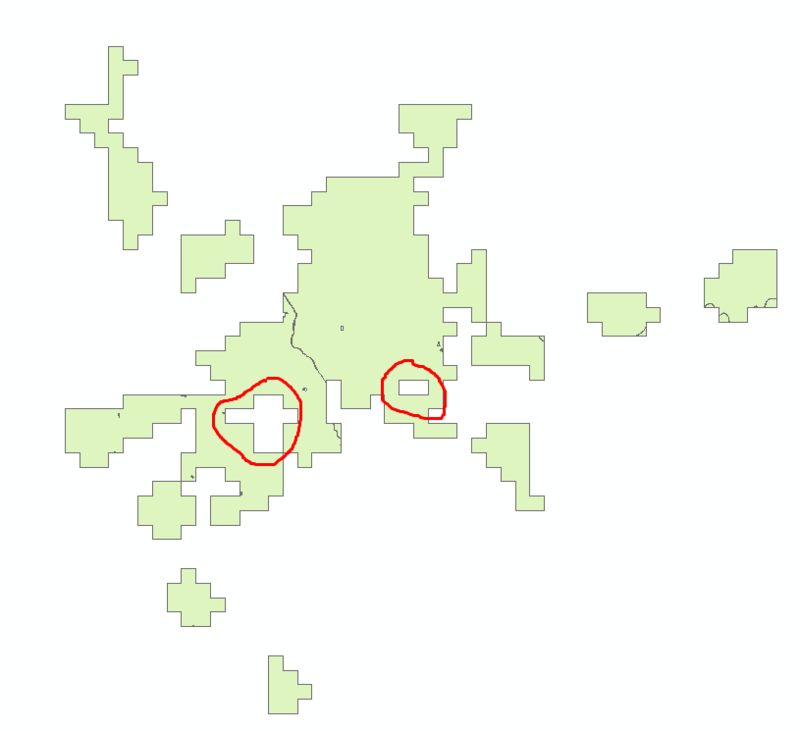 I am working in ArcGIS and I have an urban center boundary, generated by a population-grid dataset. However, I want to fill in the gaps inside the urban center boundary (see the image below areas marked with red). Any ideas to do this task? When working on shapefile, no need to switch editing on. Not the answer you're looking for? Browse other questions tagged arcgis-desktop donut-polygons boundaries or ask your own question.